People spend billions every year to retain or restore health. No one wants to be sick. Yet, religion often tells us that God is either causing sickness or allowing it for a reason. 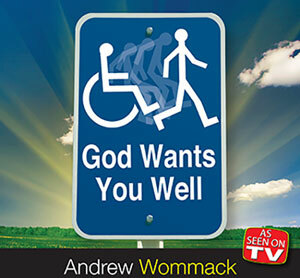 But that's not true—GOD WANTS YOU WELL. This DVD album was recorded from the Gospel Truth TV broadcast. Each DVD contains one week of programming. Please note that while they do cover the same material as the CD album, they are not exactly the same.